​Lesley is a highly qualified Executive Coach with over 15 years experience of coaching people through organisational, career and personal changes. 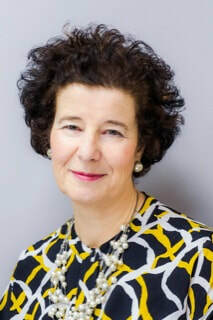 Lesley worked for the multi-national pharmaceutical GlaxoSmithKline (GSK) for 20 years where she held increasingly senior roles in Change Management, Corporate Communication, Leadership Development and Executive Coaching. Lesley specialises in helping senior people increase their leadership, stakeholder management and communication skills. She is particularly skillful at helping leaders navigate transitions, overcome personal and family challenges and build inner confidence. Clients who work with her achieve tangible results such as an authentic leadership style, better work life balance or a defined career path. "Lesley has a brilliant ability to support and guide individuals through a process of change"
‘tell it like it is’. She works equally well with clients who want to focus on hard business objectives and those who need to ‘go deeper’. She has ‘lived experience’ of many of the areas in which she specialises. Lesley is an ICF PCC accredited coach with over 800 coaching hours. She has worked with over 130 clients ranging from Vice Presidents to graduate trainees. She has wide experience in many sectors, including Pharmaceuticals, IT, the Civil Service and academia. Lesley regularly attends continuing professional development events and provides mentor coaching to colleagues.